Thinking of applying to medicine for 2020 entry? Attending university open days are a great way to assess whether or not the medical school is right for you. Open days give you the chance to meet current students and lecturers, and to find out more about the structure and teaching style of the medicine course – you can see below a full list of medical school open days. What are the Dates for Medical School Open Days 2019? Most medical schools hold their open days over the summer, but some will also hold them early in September. A key thing to remember is that the UCAS deadline for medicine is 15th October, so make sure you’ve made all of your medical school decisions before this date! Here we’ve compiled a list of medical school open days for 2019. Aberdeen June 2019 - specific dates to be announced Find out more. 6th July 2019 (Chelmsford campus) Registration open. Saturday 23 November 2019 Pre-registration open. Saturday 5 October 2019 Registration open. Saturday 19 October 2019 Pre-registration open. Brighton and Sussex Saturday 8th June 2019 Registration opens in spring. Buckingham Saturday 16th March 2019 Registration open. Saturday 7 September 2019 Pre-registration open. Friday 5th July 2019 Booking open April 2019. Friday 5 July 2019 Pre-registration open. Dundee Friday 14th June 2019 Registration open. Saturday 17th August 2019 Registration open. Saturday 19 October 2019 Pre-registration opens. Sunday 15 September 2019 Pre-registration open. Saturday 14 September 2019 Pre-registration open. Keele 2019 dates TBC Booking open. Saturday 19 October 2019 Registration open. King's 2019 dates to be announced Find out more. Saturday 14th September 2019 Registration open. Leeds 2019 dates to be announced Registration open. Saturday 8 June 2019 Registration open. Saturday 28th September 2019 Registration open. Saturday 22 June 2019 Registration open. Saturday 14 September 2019 Registration open. Saturday 6th July 2019 Pre-registration open. Friday 20 September 2019 No booking required. Wednesday 26 June 2019 Registration open. Saturday 7 September 2019 Booking not yet open. Saturday 12 October Pre-registration open. Wednesday 17 April 2019 Registration open. Saturday 14 September 2019 Find out more. Sunderland 2019 dates to be announced Find out more. Saturday 16th November 2019 Registration open. Saturday 7th September 2019 Pre-registration open. Saturday 30 June 2019 (Burnley Campus) Registration open. Monday 17 June 2019 Registration open. How Should I Pick Which Medical Schools to Visit? You can only apply to four medical schools, so it’s essential you apply strategically to ensure you increase your chances of being invited for interview. Want more help with choosing a med school? 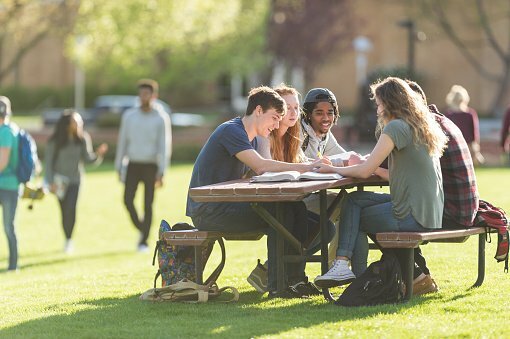 The UCAT Course (renamed from UKCAT in 2019) trusted by thousands of students and hundreds of schools. Get proven strategies from an official Royal Society of Medicine partner. The only BMAT provider officially partnered with the Royal Society of Medicine. Created by qualified doctors and Oxbridge graduates, our BMAT Course is trusted by many top schools and aspiring medics each year.